A couple of times a year, the Pocket Newsletter hosts a Pub Night, where residents of the Pocket can meet over a pint of beer or a cup of coffee. Pub Nights are held at The One in the Only Cafe on 966 Danforth Ave, just west of Donlands. The One in the Only Cafe is one of Toronto’s beloved places to hang out, get work done, start spontaneous conversations with locals, and enjoy a perfectly brewed coffee in a friendly atmosphere. 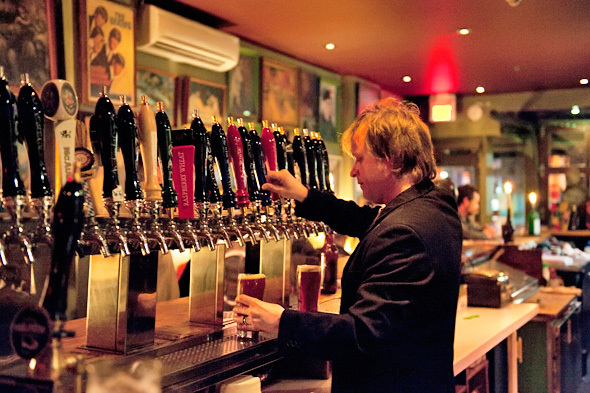 It is attached to The Only bar which has a selection of over 200 beers including many microbrews from Ontario and Quebec. The Pocket Newsletter continues its old tradition – Sunday pub night at The One – except for an earlier start time at 4 pm.